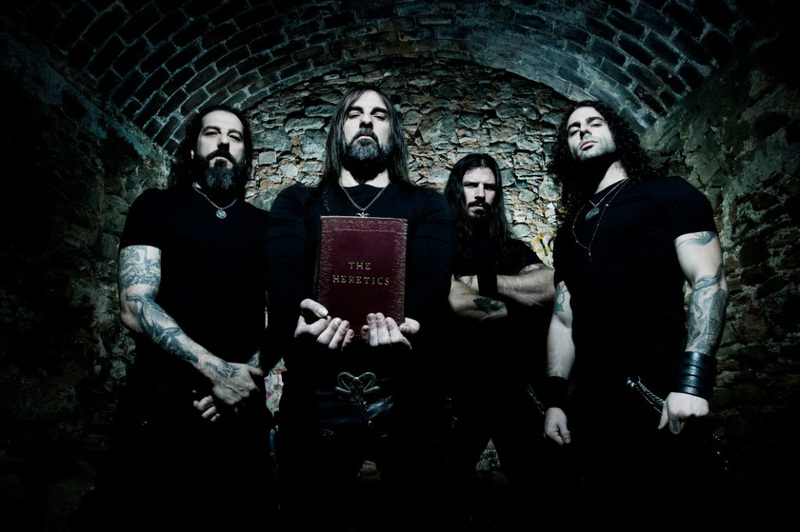 Rotting Christ premieres new song ''Ветры злые (Vetry Zlye)'' feat. Irina Zybina (GRAI)! The Greek metal veterans of Rotting Christ are now premiering another song ”Ветры злые (Vetry Zlye)” feat. Irina Zybina (GRAI) of their upcoming release ”The Heretics”. The new offering is slated for release on February 15th, 2019 via Season of Mist Records. The Russian themed track “Ветры злые (Vetry Zlye)”, featuring Irina Zybina (GRAI), is now streaming via Satanath here! Rotting Christ did it again in their own style this song has it uniqueness. Powerful riffs and technical perfection of the drums on this song presented this song in it’s full form, powerful, raw and interesting. This song has a great story, and it’s in English and Russian language. Irina with her amazing vocals, presented the song in a such a magical and majestic way,, combined with Sakis raw brutal voice, it a alliance of Hellenic and Slavic higher power united together crushing everything around them, with the power of the gods, themselves . This is a true pagan song, and it is spiritual and divine, and with black metal and melodic elements it has that amazing dark vibe. The theme in lyric video presents the song in the right way, they combined the lyric video for the whole story with a theme perfectly. Pagan salvation strikes hard with Rotting Christ and Irina, and it will leave you speechless. 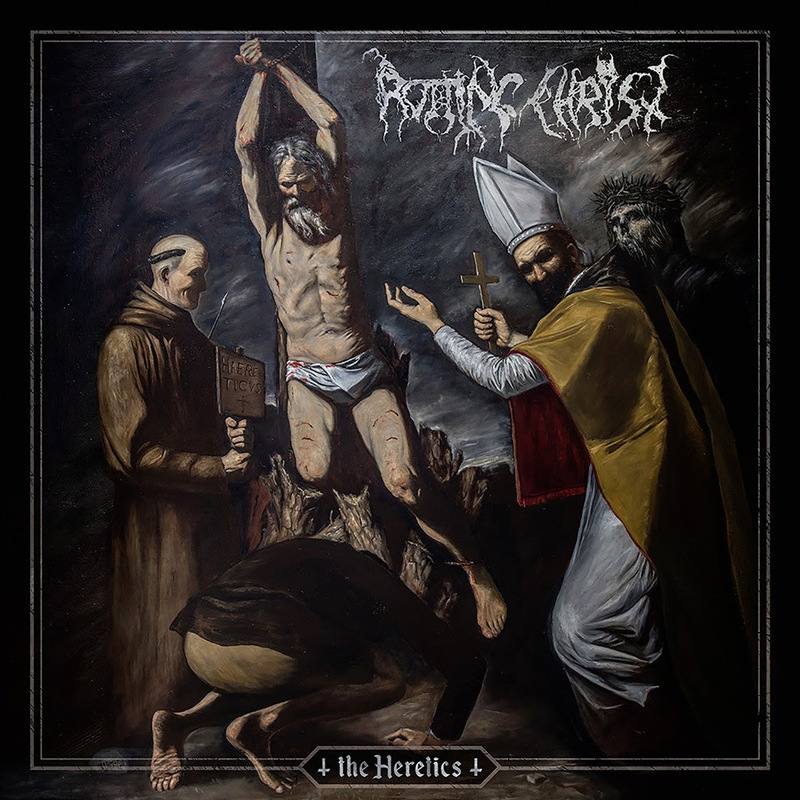 Rotting have previously revealed the album artwork, created by Maximos Manolis, and album details of ”The Heretics”. Rotting Christ have reached another peak in their long career that now spans over more than three decades. The Greeks have literally stood the test of time. With a steady core line-up and their well-honed live delivery, Rotting Christ are filling concert halls and reap enthusiastic crowd reactions wherever they go. This demonstration of love from their followers is not just driven by nostalgia as the band has managed to evolve and grow, while staying relevant beyond the classics with their highly acclaimed latest albums such as ”Aealo” (2010), ”Κατά τον δαίμονα εαυτού” (2013), and ”Rituals” (2016). With the new offering ”The Heretics”, Rotting Christ are opening a brand new chapter. With confidence and skills derived from experience, each song represents its own sonic universe. Guitarist and vocalist Sakis Tolis in collaboration with his brother Themis on drums achieve a perfect balance of amalgamating their classic and unique style of riffing and rhythm with exciting new elements sprinkled in to keep their material exciting and fresh. The experience is enhanced by Jens Bogren’s equally clear and transparent yet also massive as well as sombre mix and mastering at his widely renowned Fascination Street Studios (Amorphis, Borkagnar, Moonspell,Devin Towsend, and many more). Rotting Christ were founded by Sakis Tolis and his brother Themis in the year 1987. Starting out on a basis of death and grind, the Greeks had already embarked on a darker musical journey by the time their debut full-length ”Thy Mighty Contract” (1993) was revealed. On the following seven albums covering a ten-year period from ”Non Serviam” (1994) to ”Sanctus Diavolos” (2004). Rotting Christ steadily defined their own distinct style by experimenting with elements from death, heavy, and gothic metal without betraying their black roots. At the same time, the band went from underground heroes to headliner status. With the highly acclaimed ninth album, ”Theogonia” (2007), the Greek stalwarts added an unmistakable native element to their sound, which has remained with them as a signature trademark ever since. Exploring the mythical legacy of cultures around the globe let to Rotting Christ’s massively successful latest release, ”Rituals” (2016). With more than 30 years, 13 studio albums, a dozen EPs, singles and split releases, as well as more than 1.250 shows under their belt, 2018 marked the year of ”Their Greatest Spells” (2018), where they musically revisited their exciting legacy to connect their past with the present. ”The Heretics” marks another step in the evolution of the Greek masters. Buckle up for a fascinating musical ride through the woes of religious wars, Zoroastrianism and the eternal war between good and evil. Metal at its best!